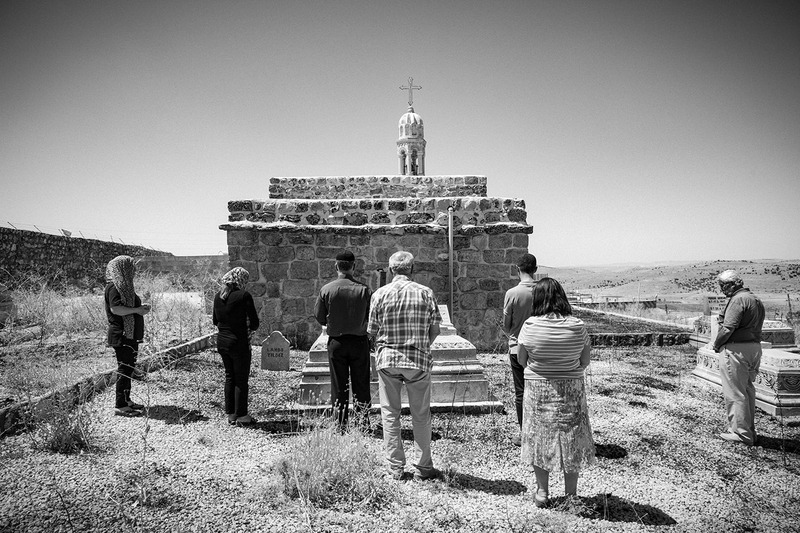 Syriacs who are visiting their village from abroad pray for their passed away ones at Aynwardo village at Mort Smuni Church,Tur Abdin region. The Syriacs of Tur Abdin are an ancient people from northern Mesopotamia that was among the first civilizations in the world to adopt Christianity. Also known as Assyrians or Arameans, they still speak the Aramaic language of Jesus Christ. Their homeland is a region in southeastern Turkey known as Tur Abdin (Mountain of the Servants of God). The struggles of an exiled Christian people trying to return to its homeland in order to save its ancient faith from assimilation and extinction. The photos were taken our research trips to the Tur Abdin region in the previous years.